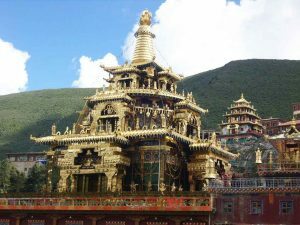 Local Tibet tour agency introduces the main monasteries on Tibetan Nyingmapa Buddhism. Welcome to read further and hope it is helpful when you are learning this Buddhism. Nyingmapa is among the four major schools in Tibetan Buddhism. The other three are Skyapa, Kagyupa and Gelugpa. And it is the oldest one. Nyingma means ancient in Tibetan language. Also, it has another name of Red Sect because the monks wear red hats. As to its origin, it can be traced back to the 8th century. At that time, King Trisong Detsen invited Padmasambhava to promote Buddhism in Tibet. From then on, it had developed and gradually formed its own school till the 11th century. Moreover, in the 14th century, it was transmitted to Bhutan and Nepal. And nowadays, there are Nyingmapa monasteries in India, Greece, France, America and etc. 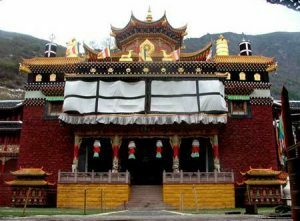 In China, Nyingmapa six main monasteries include: Kathok Monastery, Palyul Monastery, Shechen Monastery, Dzogchen Monastery, Dorje Drak Monastery, and Mindrolling Monastery. 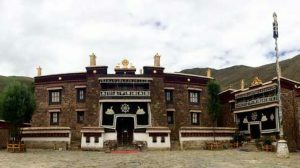 Kathok Dampa Deshek founded Kathok Monastery in 1159 at Derge. 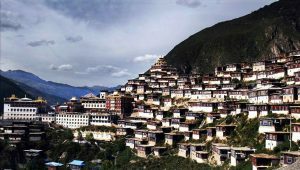 And the monastery locates on the mountainside in Baiyu County of Sichuan Province now. So the altitude of the monastery is 4,800 meters due to high mountains. Moreover, It is famous for its fine scholarship. It provides comfortable environment for monks to study. Thus, from the past years, there have been many monks here. Among them, some scholars are widespread around the world, such as Asia, Europe, North America and etc. Rigzin Kunzang Sherab founded Palyul Monastery in 1665 in Derge. Now it locates at Baiyu County in Garze Tibetan Autonomous Region of Sichuan Province. Palyul means auspicious place in Tibetan language. And it is the seat of Nam Cho Terma of Terton Migyur Dorje. In addition, it has the reputation of sacred place for meditation in Qing Dynasty. Till now, there are 12 throne holders of Palyul Monastery. Among them, Karma Kuchen Rinpoche became the 12th throne holder from 2009. Shechen Monastery locates in Derge of Sichuan Province. Some people say Gyurme Kunzang Namgyalit founded it in 1731. In the 18th and 19th century, it had a huge influence. And whin the past 300 years, there are many great achievers from the monastery. Worth to mention, it has preserved the inheritance of Dharmar withour interruption. 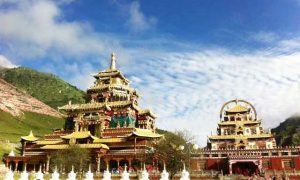 Dzogchen Monastery locates in Derge of Sichuan Province. In 1657, Pema Rigdzin, the 1st Dzogchen Rinpoche founded it. During the history, it is rebuilt for many times. Now it has become the center of study and meditation. Dorje Drak Monastery locates at Lhoka or Shannan Prefecture in Tibet. Together with Mindrolling Monastery, it is one of the two biggest Nyingma monasteries in Tibet. The First Rigdizn Ngakgi Wangpo built it in 1610. Dorje Drak Monastery specialized in Northern Treasures. And it also remains some book about Tibetan medicine and Tubo Kingdom history. 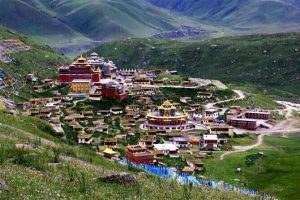 Mindrolling Monastery locates at Dranang County in Lhoka or Shanna Prefecture in Tibet. In 1676, Rigzin Terdak Lingpa founded it. And his lineage is Nyo lineage. The monastery is in a valley surrounded by mountains. 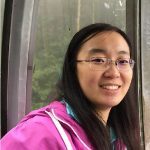 So the geological location is very good. In the past 300 years, it has trained many great scholars around Tibet. Moreover, besides Buddhism, it teaches astronomy, Tibetan medicine, lunar calendar, calligraphy and etc. Learn more about Tibetan Nyingmapa Buddhism and Tibetan religion or Tibet travel, please contact our local Tibet travel agency.Please follow our Tibet Travel Blog for more Tibet travel news and attractions.